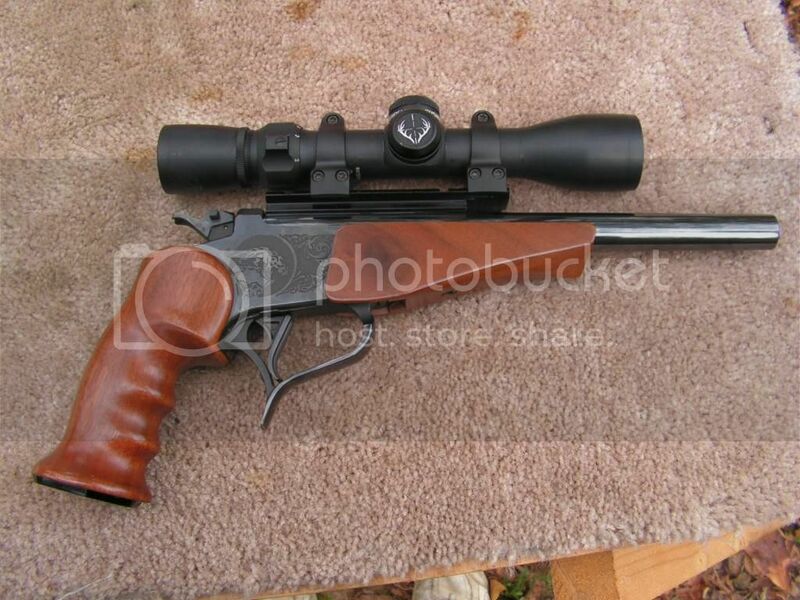 I thought that a good " test bed " for this bullet would be my ( new to me ) 10 " bull barrel, 357 Magnum , Thompson Center Contender , single shot pistol. The load would be 5.0 grs. of Alliant Unique with the NOE Plain base, 180 gr. , Wide flat nose, sized .358". My friend Bryan had never fired a T/C Single shot pistol before. I asked him to fire 10 rounds at 25 yards. Considering he had never fire a T/C before, I thought that the target was respectable. 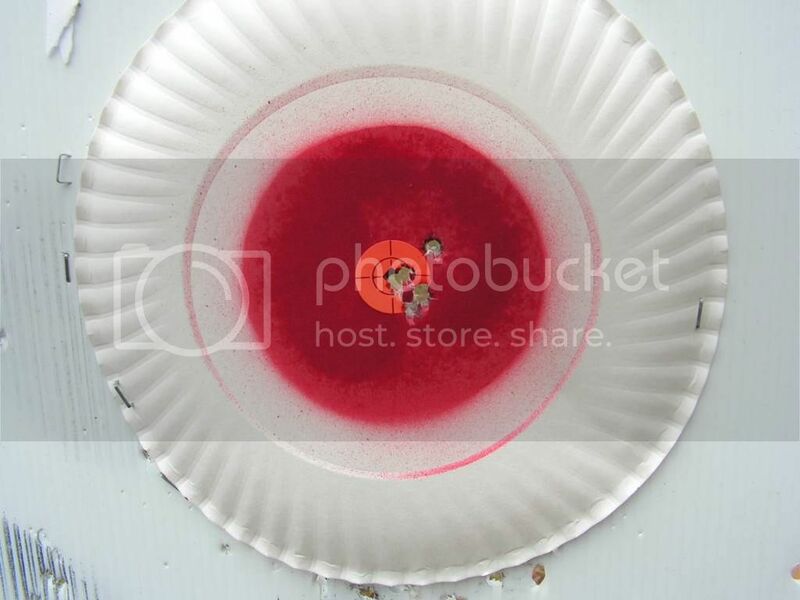 While at the range I tested more NOE bullets in my 30-06 . 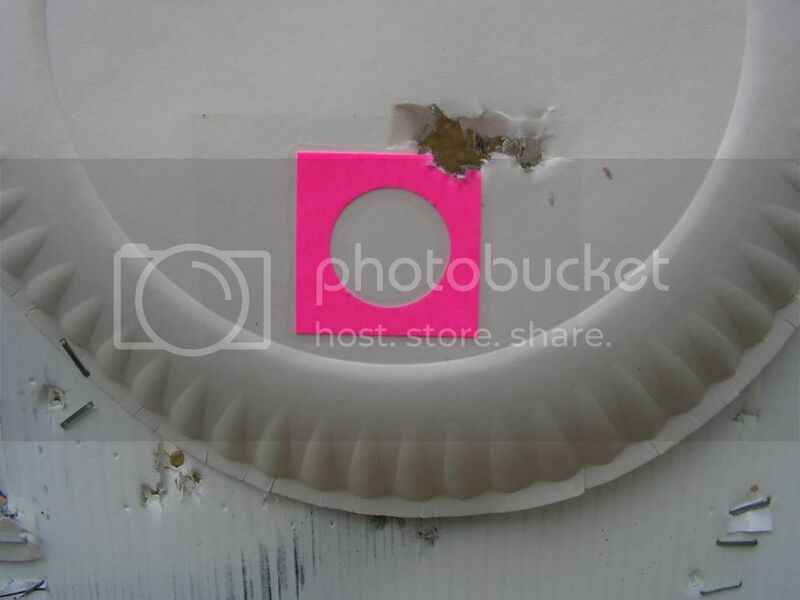 Here is a 5 round target that I fired at 50 yards today with my Tikka, 30-06 rifle. The load was 8.3 grs. of American Select with the NOE 311331 cast bullet, sized to .311" with Win. Large Rifle Primers. 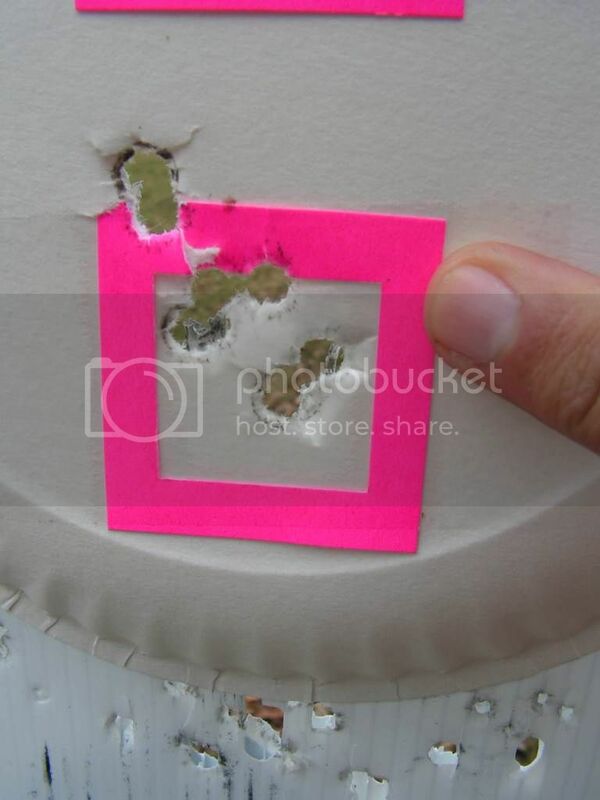 I also shot the NOE 311440 ( 5 rounds at 50 yards ) , gas check with 8.3 grs. of American Select , sized to .311" and .014 " thick aluminum gas check that I make, primed with Win. Large Rifle Primers. A fairly impressive group in my opinion. It has been very interesting to me that very minor changes in propellant weight , or primer brand can have a big impact on the accuracy potential of .30 cal. 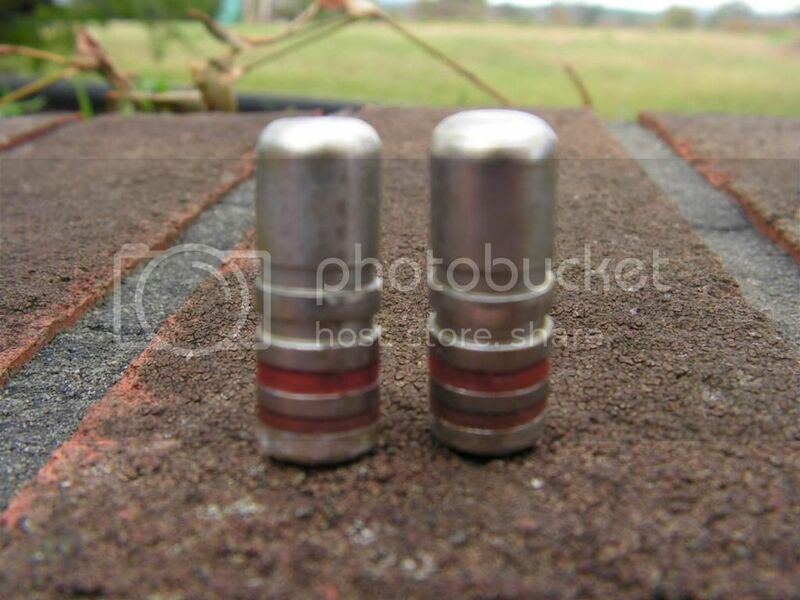 plain base bullets. Notice the lower group was 9.0 grs. 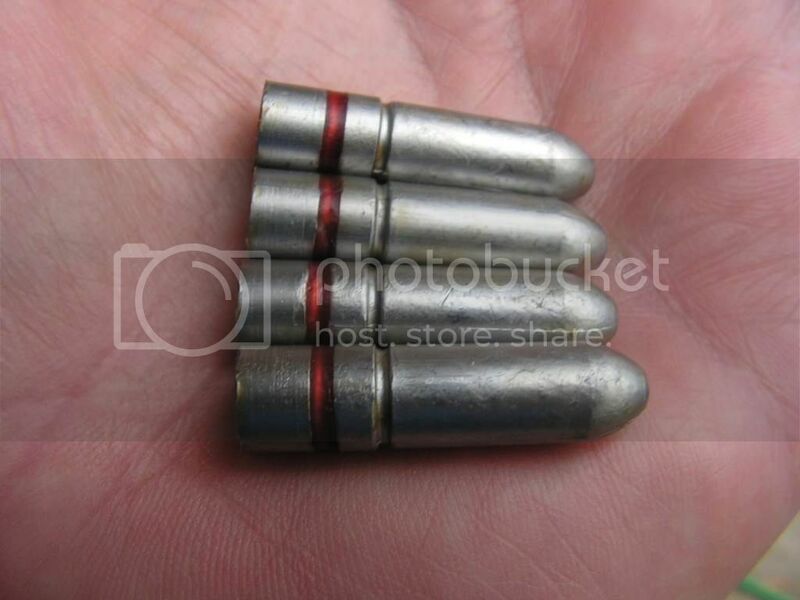 of propellant, the same bullet in the upper group was 9.5 grs. Look at the difference in the group size. 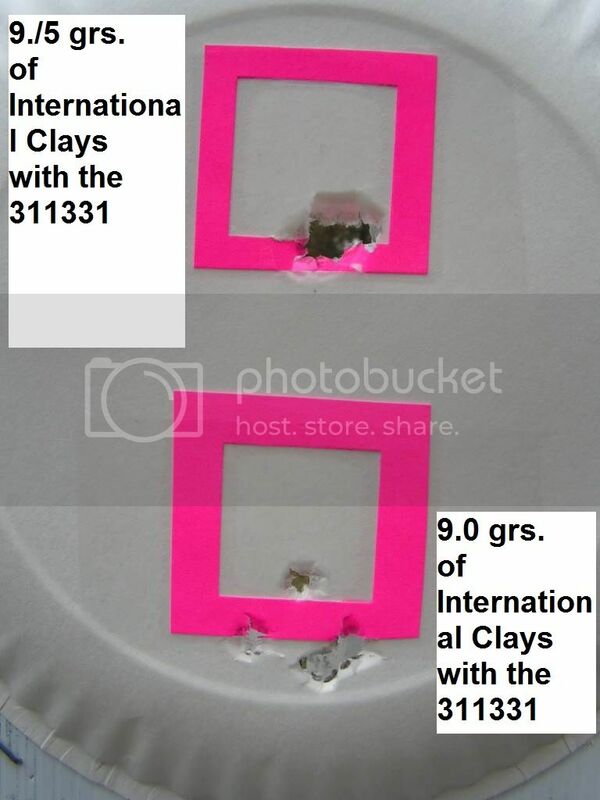 Again, 5 rounds at 50 yards, 30-06, NOE 311331 , sized .311 with International Clays powder. It was a fun day at the range today. Remember, " A bad day at the range is better than a good day at work." 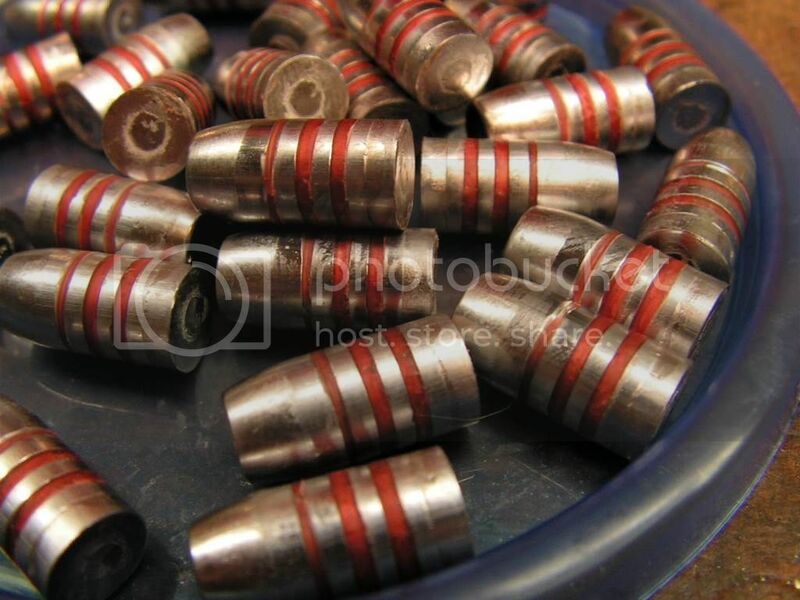 Please don't take my loading data you see in this article ( or anyone else's loading data you've read ) and use it without comparing my load data to that provided to you by powder manufacturers and / or other reliable and trusted reloading manuals. Use my loads at your own risk. I take no responsibility for the safety of any load data that you've seen here in this article. I hope you've enjoyed reading this article !